The last few tickets for the WB-40 live event in London on May 2nd – get one now! Hello, and welcome to Episode 105 of WB 40. The weekly podcast with me, Matt Ballantine, and Chris Weston. although have been waking up remarkably early for one reason or another. So I’m kind of in the new zone already. So it works out, I was thinking about I have how many clocks if you got left in your house that actually need adjusting? I had to do it. But I had to press the button to make it. know nobody can ever where the common clock. come see this image of you doing that. Probably the best. I look like a somebody a project he gave in 19 96. There we go. It’s been a busy week, all week. And there’s been a lot going on us knowing you know, I’ve been I’ve been doing this not finishing off on a two pieces of work. We’ve been doing some of our podcast prior projects. And we’ve even you know, we’re moving on with that now that’s that’s that’s actually, we’ve got some we’ve got customer with those with the customer this week, listening to their stories, and doing a little soft launch of that. So it was interesting and exciting. It’s very good. We also got a new brand, which are not announcing yet but that’s all very exciting. not just but but for our for our podcast powered projects. be 40% although we do have a slightly new graphic down a little little mascot. wouldn’t be so politically charged childish to do that to us. mailing list that we have going on WhatsApp mailing list on Amazon. But yeah, if you’re if you’re on the if you’re on the web 40 whatsapp group, you will know what I’m talking about. 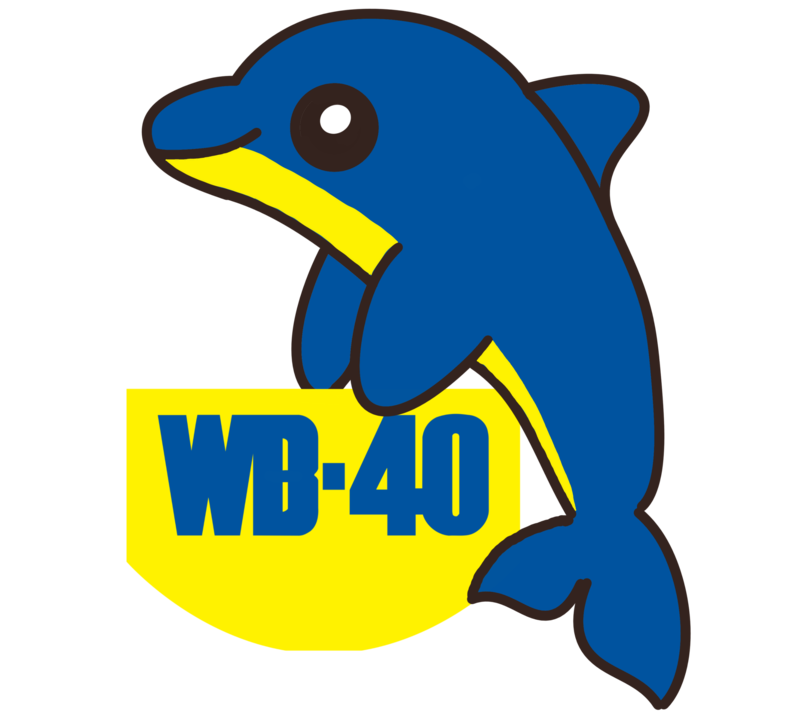 If you’re not you want to drop us a line on twitter at @Wb40podcast and we will give you the magic joining code about to join in the fun and shenanigans that go on on WhatsApp because it is fun and shenanigans. nobody gets paid the number they are about to ask me to guess. Metropolitan metrosexual world in London, these are for the whole of the UK, including real places where real work gets done. So I’m going to get anywhere. I’m going to give you four job titles, and I want you to rank them. Okay. Okay. From from lowest to highest. I want you to tell me which which one is the lowest paid, which was the highest paid? Okay. Okay. So, these are all management roles. Okay. Engagement Manager. Right. Engagement Manager? Yeah. Okay. Test manager. Yeah. And development manager. What the heck is a development manager? I look up to software development. Man. Okay, so Engagement Manager, Product Manager, test manager, Development Manager. Okay. So I was gonna say lowest is engagement. attempt, I’d say, but also very, very run. So he thought the engagement manager would be the cheapest person. Yeah, I’ll tell you that. The person that you thought would be the second most expensive to implement the test manager. The median salary for testimonies use 57,500 pounds. Okay, the next one is the product manager. Do I have that second? You do? A second? So you got one right there. 16,000 pounds for a product manager? Okay. Third on the list would be an engagement manager. Okay. 62,500 pounds. Okay. And the most highly paid of our little roles areas development manager, and that development manager would be walking home with a before tax salary of 67,500 pounds. So got to write 50%. That’s not bad. Yes. It’s a you know, it’s called effort really good considering You’re so far removed from the real world. just just because you live in the Midlands doesn’t make you somehow connected. All right. I’d said the thing I find interesting about that is actually the most the logic I had behind my own ordering, wasn’t that you’d read them out in that order, obviously, because I blankly ignorant, you know, completely ignored what you’d said. But the reason I did that, in that order was because I thought test with the more technical, the more renewed remunerated because the rare of the skills, that’s my simple logic on it. And so Engagement Manager, I think that business relationship management stuff, and that kind of often people come from non technical backgrounds. And so maybe that’s a lower thing. I think that the test manager being the lowest of those speaks volumes about the quality of software being produced in this country. you’re engaging, saying I’m sorry, why this isn’t working has a problem. If you put more money into test managers, you wouldn’t need to spend as much money or engagement managers a good empathy. doable development Mondays attempt to be attend to be seen you program as really, who have gone through that, and they tend to be well pilot anyway. So you kind of have to, you have to give people the incentive to become a manager and the ricotta Engagement Manager. Interesting, I think this probably to do the rarity, scarcity, in terms of them that many people in tech, and I’ve got that skill set, the test manager, sadly, I would say that’s because, and I I’m very much against this point of view, because I see test and quality as absolutely fundamental to every software project. But they in the past, it’s a bit like the first line, but it’s being seen as like the bit of a poor little, you know, bottom rung of the ladder in terms of outside of it, even though they’re the person that talks to your customer first and gets to try to solve somebody’s problem. First. testers tend to have been not necessarily as highly qualified programmers, and they’re seen as people pressing buttons has made something wrong, rather than being integral to this test. And then quality regime. And therefore there are there are lots of testers around and therefore quite a few of them or we’ll get into the test manager role. So I think it’s more about suggested is about value. But that’s, you know, that’s why maybe that’s for another episode. Absolutely. I’m going to do one for you next week. Go for it. That’s good. Thank you. Right. Well, with that bombshell, let’s move on. And we’re going to go into another wonderful installment of our new book feature, although it’s not so new anymore. I must read it again. And this week, we’ve got Well, let him introduce himself. Who are you? I am sending lagi. on the back of a the excellent podcast packet pushers.net, who also referenced the Phoenix project. Tell us briefly the main theme of the book. The main theme of the book is all about deep work, how it’s hugely valuable in terms of focus and depth on a demanding task it book puts forward some good arguments about why the ability to focus on demanding tasks is important when you do is how allows you to achieve more or less time, and it’s a bit like a superpower. what impact has the book had on you? went back to university did some tech security tech certifications and some corporate governance certifications. And helped me drill down and become more of a specialist that a generalist or at least and more specialist generalist, and also changed the way I work from day to day in terms of carving out time to focus on specific tasks. When did you last read it? Last read it two weeks ago, span read this for this podcast. If you could describe the book is an animal, what animal would it be? If I could describe the book as an animal, it would have to be an elephant. That’s 18 months of gestation, to be to deliver a fantastic product. Big thanks to send them for taking the time to be able to put that together for us. If you’d like to take part all the instructions are on the website. If you go to web 40 podcast calm and you’ll find I must read it again on the menu you can also find a little catalog of all the private previous entries as well. So when do you take the time to do anyways? Few minutes in the voice recorder app on your phone or other smart device? And you can take part in it. And if you don’t, then we’ll have to say you know, there’s no better incentive. Anyway, on to this week’s interview another fabulous interview. You Chris went to go and speak to a data wizard. Laura Patterson. Yeah. So Laura is, as you say, somebody who’s really really deep in the world of data and in, especially in subscriptions, because that’s her background is is working for publishers and managing subscription data. So she recently decided to branch out on our own to do a bit of the self employed a company called customer first marketing. And I started talking to Laura about what it why it was that we’ve now got the roles and and need for people to specifically look after data and the way it’s formed and whites collected in businesses today. give me the paper, you know, it’s not about the environment. This is about you having my data and I don’t want you to have an interesting so what what, when, when you’re talking to customers that are by the kind of things, and you can get involved in what problems are they trying to solve for x, specifically, whether they, because nobody wants to spend money on doing this offering, unless they’ve got a problem resolved, it was a pain for them. So I still see a lot of customer lots of nice with Facebook silos. So they may have created a 360 view. But they haven’t typed offline online data to that. Or they may have really great customer journeys online. Or they haven’t thought about how that translates into the offline environments and how they can take that to the retail space, for example. can utilize any of the different touch points from within an organization to drive that customer communication, and it’s not always bad, because of shame, it’s not always about spending money is about developing that relationship. it might be, you know, just doing a bit of an audit on what they’ve got, and see where the gaps are, and try to help them either find the technology to fill that out, or find the knowledge to fill that gap. And after it’s not, you know, vendors will often sell you don’t sound so you can say, you know, they can boil the ocean when it comes to data. And often it’s just missing an integration. And that’s all it needs. But they haven’t, you know, organizations are always got somebody, you’ve got that kind of knowledge in the business to just go to make that one to one. yeah, that’s a good point. Because the problem is a lot of marketing technology vendors, they join these kind of sell but between the dashboard donors like if only you have this done with my boys brilliant decision. Selling to an unknown it savvy people and monetizing go without buying a solution, and then they’re going to get other people to say when I feel about it as a nation, naturally, as you say, that most probably exists in in definitely exists in the business, and just so happens that hasn’t gone to a particular machine tonight. Be an expensive places on the slopes. you know, and you have to really start thinking about personal magnetism. realize is you have to figure out what you want from a solution before you go from point A.
like to be made into an enterprise architecture. build those relationships, because you’re, as an example, just wanted it. they’re not 100% certain that, you know, Bob Smith immune system is Dr. Smith in another system. But and then you add to that the fact that customers like two sets of different email addresses in and, you know, if you try and tie IP addresses as well, you know, you’ll have your work idea who might be, you know, if if this person, that person, and it does make it a very complex thing, but if you started with their best at, you’re just making it so much worse for yourself. So I mean, if there’s willing, if there was willing click winners just implement some kind of that. Isn’t it good? Isn’t it a good thing, though, that people can’t do all that all that information and building a picture of us that easily without was explicitly giving them the information, we want them to have them, telling them what we want them to use it for? a customer service center, you would expect, as a customer can touch each of those points and being recognized as an individual. Yeah. And so yeah, there’s lots of talk about, you know, all customers dedicated to process the data, but my salute Lee expected to do that, because they expect to be known as that individual across those different touch points. So for each of those customers, you know, identify them correctly, or not ingesting that data and validating it correctly, then you haven’t got a hope of understanding who they are as an individual. And then for, all you’re going to do is create a nice and kind of friction. And, you know, the customer will tell you they will do? it’s, it can be very, very tricky. and that’s true. And then people are again, hit double No, I don’t know, because you started to get emails and committee from people who think you should name event. And it’s just an aggravation that they saw like a frustrated with the organization, doesn’t it? Because you think well, if you don’t, if you don’t know this event A Why would I trust you with other things. organization is, is what is driving customer loyalty these as which I think is a huge, huge driver, and a huge impact. And if you own busy enough, can try to tie those those pieces of data, creepy way just in ways that customers would expect you to to to understand them. And you know, you’re going to lose, you can lose your investors. regular citizen, you always want to collect. So if you have a number of touch points, 100 different parts of your organization, make sure that they always do the same thing in every single system. So that you can do those joins in the data. Yeah. And and then if you’re going to collect email addresses makes me just do the simplistic validation mention it has an opt in at some point and that it only over certain number of characters and try and read all the Mickey Mouse ears and and the Donald Duck’s because obviously, that’s not genuine data. And I think he has the best case actually lifting the load and doing an amazing job reading your data, you’ll see where the where the where the issues are. you know, it is Elizabeth denim. So we’re saying she’s saying, you know, you must, you must build data privacy into your organization from the ground up. And it sounds easy, but a lot of people think and what kind of data you’re going, you know, GDP or mother knows that again, you know, but it’s really imperative, and I think it’s becoming even more important, and I don’t think that, you know, 25th of May, last year was the end, I think that was the beginning of, of how we need to evolve as organizations and businesses to really build customer trust and customer relationships. And and I think it’s put with some organizations is really put data front and center and you know, C suite started potentially start to think about these things. they did things that were not covered by GDPR. But you’ve got things like pecker that have been around for longer than that, that people still don’t understand them. See, it’s still quite a difficult area to navigate, isn’t it for the kind of ordinary business with just a few people, especially if, you know, that stuff happens read for fairly inexperienced, it just seems like another word. Yeah. And it can be quite daunting. And there is, you know, there were a lot of organizations that had a knee jerk reaction and went, right, that’s what I did anything data, which is going to cut it all off. But I, you know, that seemed to my mind, they cut their nose to spite your face, you know, you get Okay, they’re trying to secure themselves against a huge fine. But, you know, we live in a world of data, and I think, burying your head in the sand and saying, I’m not going to collect any data is actually gonna stop for business developing in future. And I think that you need to, you know, engage with the customer, almost them, ask them if they mind you collecting their data, ask them if they’re, if they’re happy for you to store and process that data in some way. They will you there will be customers that will tell you what they do and don’t like. And, you know, we need to we need to get better absolutely data security and data, only keeping data for certain amount of time really collecting data that we really need. But, but let’s let’s bring it back to the let’s bring it back to the table. Let’s think about it every time that we want to launch a new product or new Apple, and whatever it is, or the shiny new thing that you know some whiskey democratize come up with that, let’s think about the data first and last and not trying to retrofit it because it will just be a disaster. so but if you weren’t at the, at the start of a project like that, about, you know, getting your validation, right and actually getting uses, understanding what you want to use, and why you want to use it, that’s pretty much where you’d start from intention. Absolutely. So think about, think about the kind of relationship you want to have with your customer. Think about the kind of data you think that they would be willing to give it and that you need. So don’t collect their date of birth, if you don’t need it, if you need to validate it, over 18. There are other ways of doing it without collecting their data. But that’s quite a creepy bit of information for customers to get over. And then think about how you can iterate on that on that data collection. So if at first you just need their first name, surname and email address, great, just kind of build a relationship with them, get them trusting you. And then think about right, when they’ve known as for this amount of time we’ll come back to do another kind of transaction with is can we collect another bit of data, but otherwise put the data or when he’s playing the data, because we want to be able to give you more personalized offers, and we want to use that information to help give better services or whatever it is. And I think as long as soon as they see transparent customers will give over their data. But yeah, I think the way to the beginning, think about the reasons for the data. sorry. For security, security is much more expensive, if you have to do it afterwards and make you do it before it gets assigned the data quality. by the value that you get. You get that from our service, you see that happening? platform because they understand what’s coming up their account each month, and it’s much more easy to for them to budget. to get a recurring payment, Danny, and I didn’t forget how much they’re spending. the people who are younger than me that I took some kind of a subscription so that when you know, maybe just a couple minutes, but I didn’t have any of my subscriptions because I can’t do without microphone, I cannot be without my Netflix and I cannot be willing to bet that we have and it’s just, it’s really eye opening for me about those who don’t know where we used to go to the supermarket for coffee. Every week. Now someone wants them, you know, they want to be able to pick specific brands in this specific things even, you know, we’re down to the frequency that it gets delivered in a different person. brought back for memories actually the seven of the first large data projects and saying large details and big data in a modern sense the term but was it BBC Worldwide who back in the early 2000s. were one of the big three magazine publishers in the country. And it was about consolidating magazine subscription data and reader offer data and stuff that I’m sure Laura would be all too familiar with. Actually, I think in the end, I read that that project ended up turning around something like 6 million quid in additional sales, because they started to better use their data much more intelligently than they had been, in that they were using it and they were using it in a small way as opposed to before they just weren’t. But it does, I think bring up was something I think of a recurring theme that we’ve had. And then you talked about in the interview as well. Why do organizations think all data is valuable? And you know, this, the software industry things that all data is valuable, because all data is valuable to the software industry because more storage means more revenue. More processing mode means more revenue. And so the more data you have, the more you’re ganging up your entire systems be the rubbish, the more value there is in that now for software companies, and, you know, service providers in this world, there isn’t a value necessarily, for people who aren’t software companies, but with with been solved this part. That’s very true. I think the there’s lots of analogies aren’t there. And as much as if you’re a holder, if you’re the kind of person that keeps you know, you see those programs are people with years and years of magazines stacked up there, the stairs and they can’t can just about going up and down the stairs. I’ve just looking over your shoulder, though the annoyance great pile of paper there is out there. So I’m thinking yeah, this isn’t just about that. Yeah, there’s quite a lot of stuff there and they throwing away. But it’s it is it is where it becomes a problem when it starts to cost you money, doesn’t it. And that’s stuck behind me actually, at the moment, I don’t need the space. So it doesn’t cost me money. Whereas if most companies actually, if you’ve got data that you don’t know is good, there’s a real risk, it might be bad. And if you’ve got bad data, and it’s probably hurting you in some way, because you’re going to make poor decisions based on it. So it’s, it’s a strange, and I think we are heading to a time when the likes of Laura and the kind of job that she does becomes far more important because people will have to think more carefully about the way they structure their data before they collect it, and how they’re going to manage it. Because it just the there was a chance you can collect so much. And we’ve seen this in the IoT world. And we talked about this years ago, I’m sure in the one of our first podcast about internet, Internet of Things and the fact that it’s so easy now to collect reams and reams and reams of data to collect one temperature measurement every millisecond from your, you know, front room of your kitchen and from your loft. But why on earth would you store all that data? It’s just not necessarily but people when they first deployed IoT devices, I did absolutely. Because somebody went up on stage at Microsoft to decode it and said, Look how easy it is to fill up a zero database with data from this Bluetooth connected sensor. And they could draw a graph with it. And that was very clever. But nobody thought about that. You know what to do with that data afterwards, or if it was necessary or useful. So yes, it is a it is a thing. And I think we all need to think about it more. banged on about this before, but I am so surprised that so many organizations have next to no discipline around good conceptual level data modeling. And yet we seem to be in this data age and that for me, I just I don’t understand how those two things can coexist. Well, that’s true. And also there’s a there’s a real unfashionable on on fashionability on fashionable, I don’t know the word. But it enterprise architecture is on fashionable right now. Because it’s ivory tower stuff. It’s it’s quite slow moving. And we all we’ve all seen enterprise architecture, just be there to slow everything down. And everybody wants to be agile, everybody wants to be fail fast, etc, etc. And they can’t, they haven’t got time to, to create these these things. But we’re also in a world where if you lose your data or leak somewhere you can, you can be very, very badly affected. It turns you reputation or just in terms of getting hammered by Ico or whoever. Those two things aren’t compatible. Those those skills to build, as you say, data models and to build architectures and understand where your data is, and why you’re holding it there. And why and how it’s related across your business to other systems and other processes is really important. But we need to find ways of doing that in a way that’s not horrible and toga. Yeah, I wrote a short piece last week, which was based on conversations are having one of my clients at the moment. And again, semantic meaning and semiotics are a big thing for me. And I know, they’re not very popular amongst many in the IT community. but bear with me, I think the metaphor for enterprise architecture is the problem, because actually what an enterprise a good Enterprise Architecture group needs to do isn’t actually anything like was an architect an architect design things. And actually, if you extend out that metaphor a bit, there’s a role of zone planning and urban planning, this needed an organization. So what needs to go away and not the detail of it, but what should be roughly half in terms of, you know, different systems supporting different functions in the same way that you have in a different areas, aborting, residential, or retail, or industrial or whatever, in a, in a city environment. There’s a planning role as in planning, permission type role, which is when somebody says, I want to build this, you do need a function that says, yes, that exterior of that thing you’re building is going to be fit for purpose, it will interface properly, or will do UX properly, and whatever. And then there’s a kind of building control safety thing, which is and the measures by which you’re building it, the tools that you use, the platforms that you’re building, the platforms that you’re building on are fit for purpose and safe for us as an organization. And those things I think, are the essence of what Enterprise Architecture should be, then you’ve got the problem that it is both a forward looking and also regulatory group, which there’s a lot of it that falls into both those categories. And that’s problematic, because you end up usually compromising one for the other. But the Enterprise Architecture 10 still to be populated with people who are used to designing things because they’ve come up through the route of being solutions, architects, and actually getting their heads into a new space, which isn’t about designing a detail is often to bigger stretch or in person experience. Well, as we hurdle towards the end of another podcast, I’d like to say thank you again to Laura for a fantastic interview. we have the second of May, in London in Aldgate, very, very graciously hosted for us by Dario at puppet, who we’re a cloud technology company. And we’re going to do sort of a live show, not entirely sure exactly how it’s going to work. Here, we do some interviews, or at least one interview, we are going to do some stuff with the priority Colts produce and stuff with Lego, just because you know, that will work really well on radio. And get together have a few alcoholic or non alcoholic beverages, whatever else, we’ve only got 10 tickets left, their free. Will we do kind of need you to commit to coming because there’s a limited number of them. And it’d be terrible. If you didn’t I mean, if you if you find out you can’t make it, then let us know. And we can hopefully get the tickets somebody else. But if you want to be able to register for that, there’ll be a link on the website, web 40 podcast.com. Or alternatively, you can go to event bright search for events in the UK with web 40. And avoid the one that is about speed dating for the over 40. That’s not us. One is the web 40 meetup. And it has a microphone has its icon. So there we go. You are Judy warned. you had a ball can barely barely contain its excitement to that. What have you got for your week ahead? that’s back on its normal schedule for following the Easter break. So I’m going to do some work with some of those youngsters either doing their level four degree apprenticeships, and the next few days. And then I’ve got a couple of other projects to to work on as well. So it’s it’ll be Friday before I know I’m sure how about yourself. I’ve got some wrap up with the first phase of a client and I’ve got the first real bit of work with another client and I’m going to Wembley on Sunday to watch the mighty Hornets play Wolverhampton Wanderers in the semi final of the FA Cup, and I do hope this will be a third time lucky, the new Wembley. Now when you never know, something’s gonna look forward to. Absolutely. So with that, have a wonderful week, and we will see you or at least you’ll hear us next week.